ニューズレター第20号 Archives - Friends of UTokyo, Inc.
© 2019 Friends of UTokyo, Inc.
You must be a student in universities/colleges in the US, regardless of nationalities or citizenships. A non-US branch of a US university is not considered. You must satisfy the eligibility of, be admitted to and participate in the IARU-GSP. It is not necessary to satisfy everything at the time of application. 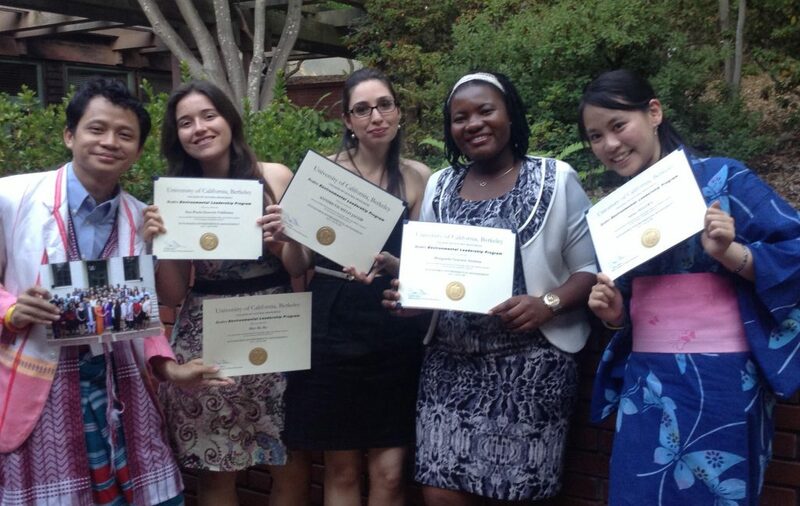 An undergraduate or graduate student of Yale or UCB, the members of IARU in the US. Each program/internship has, as FUTI understands, its own scholarship program. You can apply for both but can’t get both. FUTI scholarship is designed to be slightly more beneficial and more prestigious. Please submit the following materials through FUTI’s online application system, separately from your application to the UTokyo programs/internships. Since we do not provide any “save” feature, we recommend you first to look at the application system and to be sure that you have gathered all the required information before you begin. Information about yourself, including your name, school and department, major field of study, and year (e.g., junior year, 2nd year graduate student), and the study abroad program office of your university.Also information, if applicable, about your host in UTokyo or its affiliated institution, department/laboratory, your host professor/researcher and their phone and email address. An essay written in English, about 500 words long. The most important point in it is a clear statement of your objectives of participation in the summer program/internship in relation with your career objectives and future contribution plan. It is also your opportunity to demonstrate your ability to express ideas in your own words. A copy of your transcript (i.e., academic record). Your brief CV (curriculum vitae) , including your academic background, work experiences, thesis or research topics (if any), extracurricular activities, publications & reports, awards & prizes (e.g., scholarships). FUTI regards leadership and vitality important. Express them in your CV. No format is specified, but please refer to a sample CV here. Name, phone and email address of your reference, whom you have asked to write a recommendation letter. The recommendation letter can be in either Japanese or English. Please ask your reference (i.e., recommender) well in advance to email a recommendation letter directly to recommend [at] friendsofutokyo.org. End of February, 2019. Note that the deadline for the recommendation letters is the same. Your application is evaluated on (1) the objectives of study abroad expressed in your essay, (2) academic performances considering differences of schools, (3) leadership and vitality expressed in your CV and (4) the recommendation. You must satisfy the eligibility of, be admitted to and participate in UTRIP. It is not necessary to satisfy everything at the time of application. A natural science undergraduate student in the US. You must satisfy the eligibility of, be admitted to and participate in UTSIP. It is not necessary to satisfy everything at the time of application. An undergraduate student in the US interested in a graduate school in Japan. You must be a student in universities/colleges in US, regardless of nationalities or citizenships. You must satisfy the eligibility of, be admitted to and participate in ESEP. It is not necessary to satisfy everything at the time of application. You must satisfy the eligibility of, be admitted to and participate in the program/internship. It is not necessary to satisfy everything at the time of application. Regarding (B) above, send your inquiry for eligibility of the program/internship to FUTI first through the form at the bottom. End of February, 2019. Note that the deadline for the recommendation letters is the same. However, if you have any reason for which the deadline cannot be met, tell FUTI ahead of time. Depending on the reasons, FUTI may make an exception to extend the deadline to the end of April. 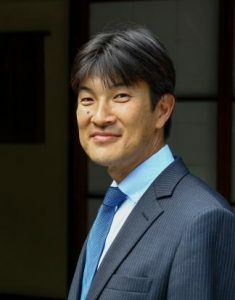 Takeshi Komoto （河本　雄）serves as Minister at the Japanese Embassy in the United States of America since June 2018. His portfolio covers policy areas including economy, trade, industry and energy. He joined Ministry of International Trade and Industry (MITI), the predecessor of Ministry of Economy, Trade, and Industry (METI), in 1993. Much of his career focuses on international affairs. Before his current assignment, he was the Managing Director for Multilateral Trading System, Trade Policy Bureau, Ministry of Economy, Trade and Industry of Japan since June 2017. He was responsible for World Trade Organization (WTO) issues as well as new global rule-makings in areas including digital trade and investment. He led the initiative to launch an exploratory work towards future negotiations on electronic commerce at the WTO in December 2017 at WTO Ministerial Conference in Buenos Aires, Argentina. In 2016-2017, Mr. Komoto was the Director for Bureau of Economic Revitalization of Japan, Cabinet Secretariat of the Japanese government. He was a senior member of the team that puts together the Growth Strategy of ABENOMICS, the structural reform program (“The Third Arrow”) of the economic policy led by Prime Minister Abe. He was also responsible for marketing ABENOMICS to business communities around the world. Mr. Komoto was the Executive Director of Japan External Trade Organization (JETRO) New York Office for three years in 2013-2016. His mission was to promote trade and investment between Japan and the United States. In 2011-2013, he was the Director for FTA/EPA Negotiations and was responsible for a number of negotiations including on China-Japan-Korea (CJK) FTA, Regional Comprehensive Economic Partnership (RCEP, what used to be called ASEAN+6), as well as Japan-Myanmar Bilateral Investment Agreement among others. He played a leading role in launching the negotiations for CJK FTA and RCEP in November 2012. He was seconded to the Asia-Pacific Economic Cooperation (APEC) Secretariat in Singapore in 2008-2011 as Program Director supporting committees on trade and investment as well as customs procedures. In 2010 when Japan was the Chair of APEC meetings, he supported the Japanese Government from the Secretariat as Host Economy Representative. He worked on World Trade Organization (WTO) negotiations in 2004-2006. He designed a Non-Agricultural Market Access (NAMA) ministerial meeting for East Asian countries in Japan which greatly contributed to the agreement in supporting Swiss formula at the 2015 APEC Minster Responsible for Trade (MRT) Meeting in Jeju, South Korea. He also has an experience of being seconded to Japan Defense Agency in 2002-2004, serving as a chief negotiator with the US Department of Defense on ballistic missile defense. He successfully concluded a deal between Japan and the US to cooperate in procurement and operation of missile defense system. Mr. Komoto serves on Advisory Committee of Friends of U Tokyo, Inc. (FUTI), US NPO that supports student exchanges between University of Tokyo and US universities, since 2015. He graduated from University of Tokyo in 1993 where he majored in economics. He received Master of Public Affairs from Woodrow Wilson School of Princeton University in the United States in 1998. He and his wife, Shiho, have three children, Ken, Jun, and Kano. Make sure of your eligibility first before applying. Click on the appropriate link to the application form which fits your category. Undergraduate or Master Student A current undergraduate or master student at UTokyo who would like to study in the US but will return to and graduate from UTokyo. Graduating Student A current undergraduate or master student at UTokyo who will graduate soon from UTokyo and would like to go to the US to pursue a higher degree. Past Graduate A past graduate of UTokyo working or studying elsewhere, who now wants to study in the US. Doctoral Course Student A doctoral course student (or soon to be) at UTokyo who wants to study in the US. 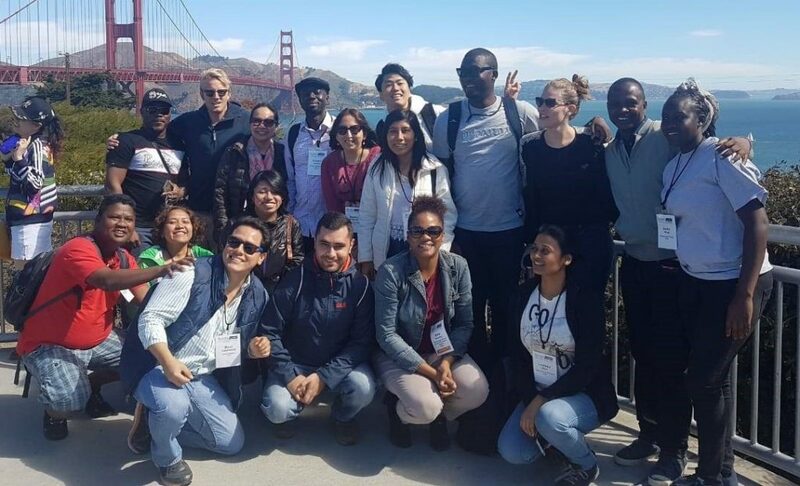 Second Year Application for the Ito Foundation U.S.A.-FUTI Scholarship A student finishing their first year with the Ito Foundation U.S.A.-FUTI Scholarship and applying again for the second year. IF Ikuei Scholarship Applying for the IF Ikuei Scholarship. The first or second year application. Other Other than any items above, eligible for Ito Foundation U.S.A.-FUTI Scholarship. Many companies offer a matching gift program whereby an employee’s and/or retiree’s gift to a charitable organization like FUTI will be matched by the company, typically by the same amount, i.e., 1 to 1 matching. If your company or former employer recognizes FUTI as an eligible organization, your donation of, for example, $500 will be become a $1,000 gift to FUTI, and it will be recognized as such (although for your income tax deduction purpose, the amount is what you personally donate). If your employer asks for our qualification to be eligible for a matching gift please contact us. We were granted, effective September 27, 2007, Public Charity status under section 170 (b)(1)(A)(vi), and are tax exempt under IRS Tax Code, section 501 (c)(3). If you take the following three steps, we will take care of the rest. Check with your company to see whether the company offers a matching gift program. If it does, ask for a “matching gift form” of the company together with its donation guideline. Decide how much you want to donate to FUTI. Fill out the form and mail it to the FUTI office. We have found the following companies to have a matching gift program. If your employer and/or other companies you know of offer a matching gift program and are not listed below, please write to us. Please include the name, email and/or phone of the contact person. A planned provision in a will or living trust is also a great way to leave your legacy. There are several types of bequests to consider, depending on your financial objectives. Please consult with your Trust, administrator, financial advisor or attorney. Specific bequest: You bequeath (i.e., make a bequest) to FUTI a specific dollar amount or specific percentage of your estate. Or you bequeath to FUTI specific assets such as securities, real estates or personal property. Residuary bequest: You bequeath to FUTI all or a specific percentage of the “rest, residue and remainder” of your estate, after all other specific bequest, debts, taxes and expenses have been paid. Contingency bequest: You bequeath to FUTI all or a stated percentage of your estate, if certain circumstances should occur, such as all named beneficiaries pre-decease you. When you bequeath to FUTI, please consider how your gift should be used to support FUTI. Endowment bequest requires FUTI to invest your bequest permanently and spend only the earnings to support FUTI’s activities. Creation of an endowment fund means that your legacy will remain indefinitely. You may specify a program or project of your choice, as in a restricted bequest. Unrestricted bequest allows FUTI to decide the allocation of your gift to FUTI’s grant programs where the need is greatest. Restricted bequest allows you to specify how your gift should be used. You may wish to designate a specific program of FUTI (e.g., a scholarship program for a UTokyo student). However, it is advisable to add a provision that allows the FUTI Board to determine a program that is closest to your preference, in the event your specified program should become impossible, impractical or illegal. Please submit the following form for further inquiry. You may have a life insurance policy that has outlived your original purpose, with all your children having grown up, and having accumulated enough assets to guarantee the financial security of your heirs. Such life insurance can be used for philanthropic purposes. There are two different ways you can structure a gift of life insurance to FUTI. Name FUTI as a Beneficiary: By naming FUTI as the primary or secondary beneficiary of the policy, your Estate may be able to claim a charitable deduction for the proceeds that will pass to FUTI. Transfer the ownership to FUTI: By making FUTI the owner and beneficiary of your paid-up policy, you may be entitled to a tax deduction. Please submit the following form to further discuss donating a life insurance policy. The purpose of the endowment fund is to secure financial stability in FUTI’s activities for many years to come. Money, securities and other assets donated into the endowment fund will be invested by a professional fund manager appointed by FUTI. If you select “FUTI Endowment Fund” under Donation Use, your gift will be poured into FUTI’s general Endowment Fund. We welcome corporate sponsors and generous individuals to establish a special endowment fund that carries your own name or any individual (or organization) to whom you wish to pay a tribute, for instance, your parent, loved one or your teacher. We encourage you to make a pledge of $50,000, $100,000, $250,000, $500,000 or $1,000,000, which can be paid in installments over a period of five years. Although the fund belongs to FUTI, we will accommodate your preference as much as possible with regard to the investment style (conservative, moderate, somewhat aggressive). A $100,000 endowment fund is expected to generate $5,000 a year, if the investment return is 5% (after deducting the fund management company’s commission). We will also consult with you on what programs should be supported by your endowment fund. If you are interested in, for instance, supporting our summer internship program, the investment income from your fund will comfortably support one summer intern every year. Your name will then be printed and signed by you as his/her sponsor in the award certificate to be given to the selected outstanding student. If you find the worthwhile cause of FUTI activities to be very much in line with your desire to nurture talented and aspiring students to become global leaders of tomorrow, establishing your own endowment fund with FUTI is a great way to achieve your objective. FUTI will be working with you to fulfill your dream to return a portion of what you have earned to a good cause for future generations. For further inquiry, please contact us using the form below. Please consider a gift of securities to Friends of UTokyo, Inc (FUTI). Before you transfer your securities to FUTI, please fill out and submit the below Donation of Securities Form. Then an appropriate individual from FUTI will get in touch with you and discuss necessary procedures. An IRA owner age 70½ and older may take advantage of the IRA charitable rollover provision. This provision allows an older taxpayer to make tax-free distributions of up to US$100,000 from his/her IRA to qualified charitable organizations, such as FUTI. Charitable distributions from the IRA can be used to satisfy the annual required minimum distribution (RMD). You must be of age 70½ or older on the date of the distribution. A maximum of US$100,000 per year may be distributed to qualified charitable organizations. Distributions must be transmitted from either your financial advisor or your IRA custodian directly to a charitable organization like FUTI. Distributions to charity can be applied to satisfy your required minimum distribution (RMD). The donation will reduce your adjusted gross income (AGI) for the year, and thus reduce your tax obligations. This provision applies to IRAs only, and does not apply to other forms of retirement plans such as 401(k) and 403(b) . Before transferring your distribution. Please fill out and submit the Donation By IRA Form below. We will provide FUTI’s bank information such as ABA and account numbers to the provided email address. Our online donation system utilizes PayPal which allows donations to be made by credit card or from a bank account. A PayPal account will be necessary in order to make a donation. Opening a PayPal account is free and safe. It may take 2-3 business days to open and verify the account, but once it is verified, a payment may be made either by credit card or bank account. A PayPal account will not be necessary to make a donation. However, without a PayPal account there will be a $2000 transaction limit per month. In order to make a donation of more than $2000 without opening a PayPal account, the payments can be separated into monthly installments. Please note that due to a special agreement between PayPal and FUTI as a small non-profit organization, there are transaction limits. PayPal account holders have a $10,000 limit for a single transaction, while for non-account holders the limit is $2,000 per transaction per month. Yuichiro Kuwama, M.D. (桑間雄一郎) has been Medical Director at the Japanese Medical Practice Division of Mount Sinai Beth Israel in New York since 2000. Dr. Kuwama serves as one of the primary care physicians for the Japanese community in the greater New York Metropolitan Area. He also engages in medical education activities by teaching medical students at Icahn School of Medicine at Mount Sinai and doctors-in-training at Mount Sinai Beth Israel. He is currently an associate professor of medicine at Icahn School of Medicine at Mount Sinai. After graduating from the Faculty of Medicine, the University of Tokyo in 1987, Dr. Kuwama joined the Department of Surgery at the University of Tokyo Hospital. He was qualified by the Board of Japan Surgical Society in 1991. After passing the United States Medical Licensing Examination, he started his training as an internist at Beth Israel Medical Center in 1993. He received an Internal Medicine Resident Award at the completion of his training in 1996. He was certified by the American Board of Internal Medicine (ABIM) in 1996. He returned to Tokyo in 1997 to accept an Assistant Professorship (“Koshi”) at his alma mater. He was also a researcher at the Japan Medical Association Research Institute (JMARI). He was invited to his current position at Beth Israel Medical Center in 2000. In 2006 he was inducted into the Leo M Davidoff Society, which honors teachers who have made significant contributions to the education of students at Albert Einstein College of Medicine. Dr. Kuwama is married to Dr. Chika Kuwama who is also a physician and an alumna of the University of Tokyo, the Faculty of Medicine. They live in New Jersey and have three sons. Koichi Hamada (濱田宏一) is the Tuntex Professor of Economics Emeritus at Yale University, where he specializes in the Japanese economy and international economics, and is Professor Emeritus at the University of Tokyo, where he taught before coming to Yale in 1986. He was appointed by Prime Minister Shinzo Abe as Special Advisor (on Economics) to his new cabinet in December 2012. Professor Hamada has an L.L.B. (he passed Japan’s national Bar Examination in 1957), and an M.A. in Economics from the University of Tokyo as well as an M.A. and Ph.D. in Economics from Yale University. 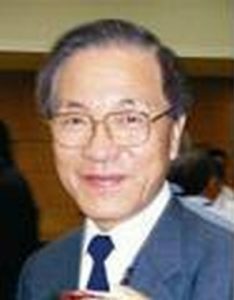 His work on policy coordination, one of which first applied game theory to international finance, was published as The Political Economy of International Monetary Interdependence(MIT Press, 1985), and some of his economic articles are collected in Strategic Approaches to the International Economy: Selected Essays of Koichi Hamada(Edward & Elgar, 1996). He is a fellow of the Econometric Society and served as its council member from 1980 to 1985. 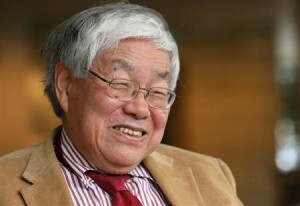 Hamada was the President of the Japanese Association of Economics and Econometrics (now the Japan Economic Association) from 1994 to 1995 and was the founding President of the Japan Law and Economics Association in 2003 (now its honorary fellow). In 2006 he was awarded the imperial decoration, the Order of the Sacred Treasure, Gold and Silver Star (瑞宝章), which is conferred on those who have accumulated distinguished achievements for Japan. In Japan, he participated in many policy committees at the Ministry of Finance, MITI, the Economic Planning Agency and other ministries. Hamada also serves as one of the associate editors for many journals including Econometrica, Journal of International Economics, Journal of Economic Theory, Journal of Public Economics, Journal of Development Economics and Journal of the Japanese and International Economies. Hamada’s game-theoretic study of international monetary relations is regarded as one of the first studies that drew attention to the strategic aspects of macroeconomic policy in interdependent nations. He was one among the few who applied the methodology of “Law and Economics” to Japan’s legal system in the 1970s. His current research topics include: international capital movements, regional integration, political economy of international monetary reform, economics and politics of Japan’s last decade, a comparison of economic functions of the Japanese and the U.S. legal systems. In 1997, Professor Hamada served as a member of the external evaluation team of the Enhanced Structural Adjustment Facility (ESAF) Program of the International Monetary Fund by request of its Board of Directors. He was a member of the Consulting Group that advised Mike Moore, Director General of the World Trade Organization (WTO), on the future perspectives for the world trade system, and he was until recently a member of the Consulting Group that advises Supachai Panitchpakdi, Director General of the WTO. From January 2001 to July 2002, Professor Hamada was on leave from Yale University to serve as the first President of the Economic and Social Research Institute (ESRI, 経済社会総合研究所長), Cabinet Office of the Japanese Government. The ESRI engages in policy-oriented research and compiling the GDP statistics. Hamada was in a position to advise the Council on Economic and Fiscal Policy (CEFP 経済財政諮問会議), a body created to promote the administrative reform (構造改革) chaired by the Prime Minister. His latest book 「アメリカは日本経済の復活を知っている」(“America knows that Japan’s Economy Will Revive”) was published by Kodansha Publishing Co. in January 2013. 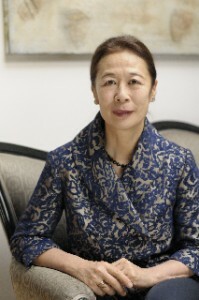 Sumiko is President of Arcadia Capital, Inc., a strategic consulting firm, which she founded in 1991. Arcadia focuses on providing advice to Japanese and US companies looking to expand cross-border business opportunities. Clients include both major multinational companies, as well as smaller technology-oriented firms. Before founding Arcadia, Sumiko worked as Principal and Head of Japanese Business Development for Alex Brown & Sons in Baltimore, Maryland. Sumiko began her career as an official for the Ministry of Health and Welfare in Japan. She subsequently moved to Strategic Planning Associates in Washington, D.C. and then to Nomura Securities International, Inc. in New York. Her life and career as the first Japanese female investment banker was made into a case study entitled as “ Sumiko Ito” by Prof. David Thomas, which was published by Harvard Business School. Sumiko is active with contemporary arts and is a former Board Member of the Hara Museum of Contemporary Art in Japan and presently Hara Museum Fund in New York. She is also active in helping people in area affected by the Great Eastern Japan Earthquake in March 2011 and following nuclear power plant disaster. She is a member of the Board of WIT(World In Tohoku), a Japanese non-profit general association, which invests in social entrepreneurs in the area. She is also a member of the Board of the Kronos Quartet/Kronos Performing Arts Association in San Francisco. She is a Japanese tea master and serves as the New York representative of the Enshu Tea School. Sumiko received a B.A. in Economics from the University of Tokyo and an M. Phil in Economics from the University of Oxford, where she received a Swire Centennial Scholarship. Sumiko lives in New York City, with her husband Donald Allison. She also maintains a house in Karuizawa, Japan, where she resides during the summer months. Prof. Teruo Fujii received his Ph.D. degree in Naval Architecture and Ocean Engineering from the University of Tokyo (UTokyo) in 1993. After working at the RIKEN Institute, he was appointed as Associate Professor in 1999 at the Institute of Industrial Science (IIS), University of Tokyo, and promoted to Full Professor in 2007. Currently he is Executive Director and Vice President of UTokyo in charge of External Relations. He also serves as President of the Chemical and Biological Microsystems Society (CBMS), which is the governing body of the MicroTAS conference, the most important scientific meeting in the field of Microfluidics. Shigenori (Shig) Matsushita (松下重悳): Upon graduating from the Department of Electrical Engineering (with Major in Communications) of UTokyo in March 1959, he joined Toshiba Corporation in April 1959 where he designed basic transistor circuits for computers. He was a chief design engineer for a patch-board programmed computer and a magnetic drum internal-program computer. In 1962 he was awarded a Fulbright scholarship and studied at the University of Illinois, where he worked as an assistant to develop a pattern recognition computer, ILLIAC III, in the Digital Computer Laboratory, and received his MS degree in August 1963. In 1961, a joint research project with the then Assistant Professor Hiroshi Hagiwara of Kyoto University began and the first full-scale microprogrammed computer, KT-P, was completed. This work was presented at the IFIP Congress in 1962 and attracted attention for its variable microprograms, which were implemented by patch-boards and punched hole cards covering photo-transistors. Based on this technology, the development of a high-speed microprogrammed computer, TOSBAC-3400, for commercialization was initiated, for which he served as the chief design engineer. This computer was widely used by computer centers of domestic universities, primarily for FORTRAN calculations and by camera manufacturers for their lens designs. Toshiba became affiliated with the Computer Division of General Electric, which was then annexed into Honeywell Information Systems (HIS). As a result, HIS became affiliated with both Toshiba and NEC. Mr. Matsushita led a joint HIS-Toshiba project to develop a high-speed computer and its technology , by dispatching several dozens of Toshiba engineers to HIS. While holding these technical and managerial responsibilities for the company, he studied by himself, in his private hours, to construct a crosstalk theory for digital signals, and received his Doctor of Engineering degree from UTokyo in October 1974. In 1978, Toshiba transferred its large-scale general-purpose computer business to a joint company with NEC, named “NEC-Toshiba Information Systems,” where he was responsible for business planning, negotiation and contracts. At the same time, Toshiba recognized a new business opportunity in “Office Automation” or “OA”, which could be realized by integrating small-scale computers, communications and business machines. Dr. Matsushita planned, promoted and evangelized the OA business. Later, he was named Associate General Manager of Technology for these businesses, being responsible for administration of these technologies. When the computer group and the control systems group were merged, he became responsible for the technology operations. In 1985 he decided the company’s strategy for an IBM-compatible laptop personal computer, T-1100. When a new breed of companies emerged overseas, he promoted alliances with overseas companies, including Toshiba’s OEM contract with Sun Microsystems, a joint company with Computer-Vision, a joint company with Olivetti, and a sales contract with Netscape. The contracts with Sun Microsystems and Netscape were the first such contracts done by any Japanese company. From 1993-96 Dr. Matsushita was the Executive Vice President of Toshiba Information Systems and led a switchover from the custom-made COBOL software development business to the online, packaged or personal computer software business. From 1996-2001, he was President of the Japanese subsidiary of an American start-up company, Wink Communications, whose business was to promote and market an interactive television system. From 2002-5 he was fully engaged in the establishment and operation of a venture capital firm in Tokyo. Since 2002 to the present , he has been also serving as a director of the Board of a start-up company, DDS Inc., which specializes in fingerprint recognition. Dr. Matsushita helped DDS accomplish its IPO in Tokyo. From 2005 through 2011, he was also on the Board of Directors of an Internet start-up company, Luke 19 Inc., which was acquired by another Internet company. 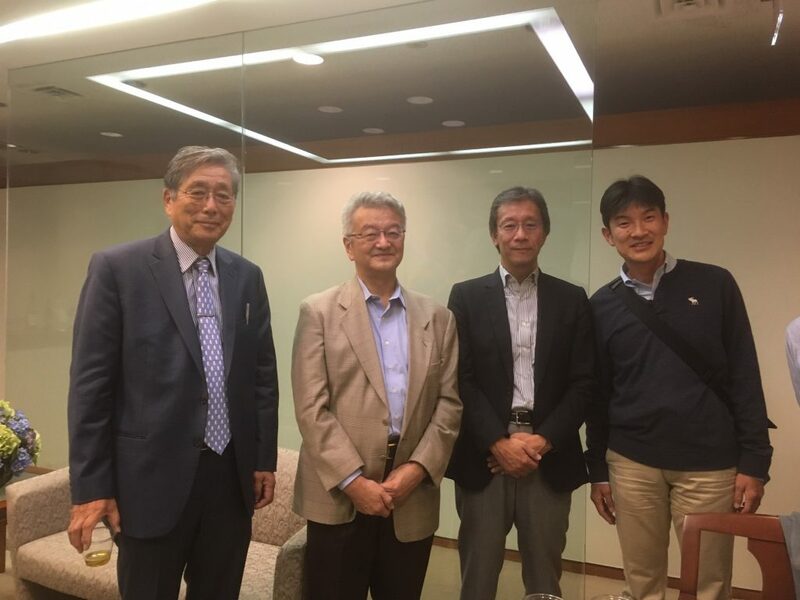 From 2002 to 2014, he was a visiting professor of the University of Chubu, Nagoya, giving lectures on globalization of economy and on IT applications to a summer business school class for businessmen. Nobuko Sakurai (桜井信子) graduated from the University of Tokyo (French Studies), and spent one year in Paris as a student. After working at Air France in Tokyo for six years, she was employed at the Smithsonian Institute when she moved to Washington, D.C. with her husband. She obtained a Master’s Degree in French Studies from American University in Washington DC. During her husband’s second posting in Washington, D.C., she wrote a monthly business report for the Japanese Government’s affiliated organization, Japan Economic Institute, for seven years. She worked at the Japanese company, Forma Corp, in Tokyo, planning and organizing financial forums in Japan for U.S. and French firms from 1995 until 2000, when she moved to New York with her husband. She continued to work part time for Forma from New York until 2006. She served as President of the Nippon Club Women’s Association and co-President of the U.S.-Japan Women’s Association, at which she is currently an advisor. She is a member of Advisory Committee of Lotus Circle of the Asia Foundation, an honorary advisor for the Japanese Business Women’s Association in New York, also a member of the International Visitors Committee at the Cosmopolitan Club in New York. She and her husband have two daughters, one married and living in New York, and the other working for the U.S. Coast Guard. Hisashi Kobayashi （小林久志） is a former Dean of the School of Engineering and Applied Science and the Sherman Fairchild University Professor Emeritus of Princeton University. Primary fields of his research have been communication theory, system modeling and performance evaluation, and applied probability theory. 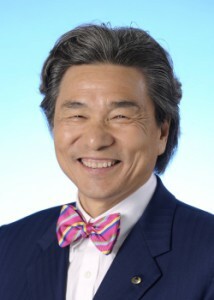 He joined the Board of Friends of UTokyo, Inc. (formerly Friends of Todai, Inc.) since its inception in October 2007 as Director, and became President in April 2011, succeeding the Founding President Mr. Junji Masuda and served in that capacity until September 2015, when he became the Chair of the Advisory Committee. Kobayashi received his BE (1961) and ME (1963) degrees in Electrical Engineering from the University of Tokyo, where he was a recipient of the Sugiyama Scholarship of the late Mr. Kintaro Sugiyama, and the David Sarnoff RCA Scholarship. He worked for Toshiba Corporation for two years before he came to Princeton University in 1965 as an Orson Desaix Munn Fellow of Princeton University, where he received his Ph.D. in two years. He then joined IBM Thomas J. Watson Research Center, Yorktown Heights, NY as a research staff member, where he worked on data transmission theory, and coding and decoding techniques for digital magnetic recording. In 1970-71 he invented a novel scheme for high-density, high-reliability digital recording, now widely known as the PRML (Partial-Response coding, Maximum Likelihood decoding) scheme, for which he was awarded the 2005 Eduard Rhein Technology Award of Germany, and the 2012 NEC C&C Prize in Japan. The PRML scheme has been adopted in virtually all hard disks and optical discs. 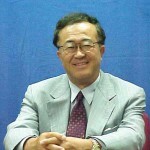 Kobayashi was promoted to Manager, Senior Manager and Department Manager of Computer Science Department at the IBM Research Center in 1971, 1974 and 1981, respectively, and was appointed in 1982 as Founding Director of IBM Japan Science Institute (now IBM Research-Tokyo). In 1986 he was invited to join the Princeton faculty as Dean of the School of Engineering and Applied Science (1986-91), and as the Sherman Fairchild University Professor of Electrical Engineering and Computer Science, the position he held until he retired in June 2008. Other recognitions Kobayashi received include a Senior U.S. Scientist Award (1979) from the Alexander von Humboldt Foundation, Germany, IBM Outstanding Contribution Awards (1975, 1984), and IBM Invention Achievement Awards (1971, 1973). He became a Fellow (1977) and a Life Fellow (2003) of the IEEE, a Fellow of the IEICE Japan (2004), and a member of the Engineering Academy of Japan (1992). Kobayashi has been listed in Marquis Who’s Who in America and Who’s Who in the World since 1982. He authored Modeling and Analysis (Addison Wesley 1978) and coauthored System Modeling and Analysis (Pearson/Prentice Hall, 2008) and Probability, Random Processes and Statistical Analysis (Cambridge University Press, 2012). He was the Founding Editor-in-Chief of an international journal Performance Evaluation (Elsevier, 1979-86). He was a visiting professor at UCLA (1969-70), University of Hawaii (1975), Stanford University (1976), Technische Universität Darmstadt (1979-80), Université libre de Bruxelles (1980), RCAST of the University of Tokyo (1991-92), and University of Victoria, Canada (1998-99). He served as an advisor for numerous organizations, including NASA, SRI International, National University of Singapore, Duke University, Advanced Systems Institute of British Columbia, National Institute of Advanced Industrial Science and Technology of Japan, 21st Century COE Program of JSPS, Institute of Industrial Science of UTokyo, G-Lab of Würzburg, Germany, Toyota Technological Institute, and National Institute of Information and Communications Technology (NICT) of Japan. Kobayashi was the Guest Speaker at the Opening Ceremony of the Graduate School of UTokyo in April 2010 (Click here for the speech text and YouTube video). He is an advisor of WINLAB of Rutgers University and serves on the Board of the Armstrong Memorial Research Foundation, Inc. of Columbia University. Hisashi Kobayashi is a younger brother of the mathematician Shoshichi Kobayashi, who was a professor emeritus at UC Berkeley. For further information, please see his bio in his blog www.HisashiKobayashi.com. 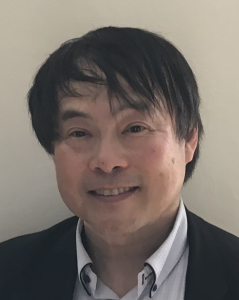 Dr. Masaaki Yamada (山田雅章) is a Distinguished Laboratory Research Fellow at Princeton Plasma Physics Laboratory (PPPL) and the Head of the Magnetic Reconnection Experiment (MRX) research program. 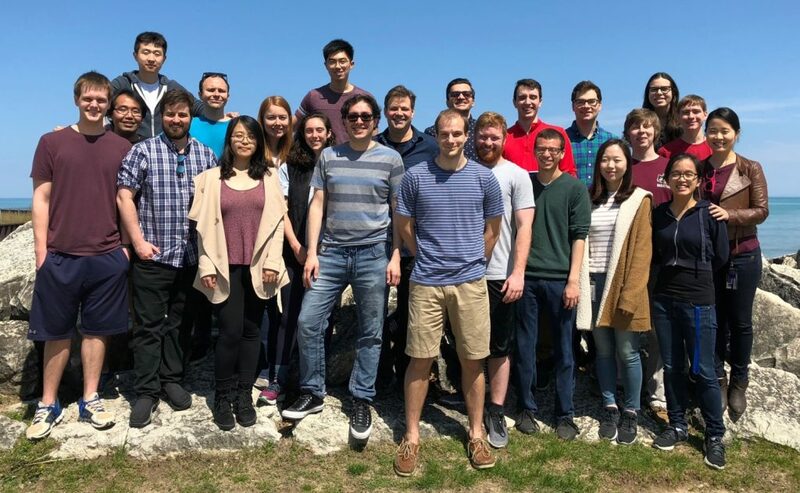 He is also a Co-PI of the Center for Magnetic Self-Organization in Laboratory and Astrophysical Plasmas, a Physics Frontier Center established by the National Science Foundation (NSF). He received his B.S. degree in Applied Physics and M.S. degree in Nuclear Engineering in 1966 and 1968, respectively, both from the University of Tokyo, and received his Ph.D. in Physics from the University of Illinois in 1973. He was engaged in many basic plasma physics research programs that were relevant to both fusion and space-astrophysics. During 1978-1988, he headed the research effort on the spheromak, at that time a new concept for fusion, utilizing the S-1 device. Since the early 1990′s, he has pioneered a new experiment, which became the MRX at PPPL, to explore the fundamental physics of magnetic reconnection. The MRX research has made key discoveries on magnetic reconnection together with many important findings on plasma astrophysics. Dr. Yamada has authored and co-authored over 200 scientific papers in major refereed journals, including recent review articles in Rev. Modern Phys. (2010) and Ann. Rev. Astron. Astrophys. (2009). He has been a doctoral thesis advisor for a dozen graduate students of Princeton University, the University of Tokyo, and Purdue University. 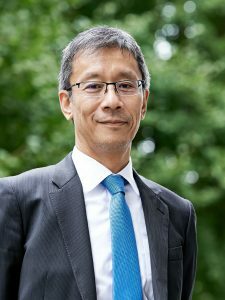 Dr. Yamada held invited professor positions at École Polytechnique Fédérale de Lausanne (EFPL), Switzerland (1988), Kyoto University (1989), and the University of Tokyo (1994 and 2010). He has been an APS (American Physical Society) Fellow since 1985 and received the APS 2002 Excellence Award in Plasma Physics Research and Princeton University’s Kaul Prize in 2003. Most recently in 2015 the APS has named him the recipient of the James Clerk Maxwell Prize in Plasma Physics. 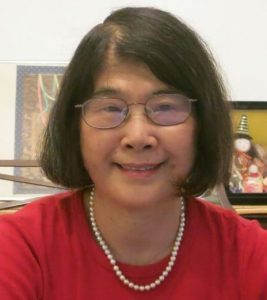 Dr. Yamada co-founded the Princeton Community Japanese Language School (PCJLS) in 1980 and has been a member of the Board of Directors since then. He served as Chairman of the Board during 1985-1995. Junji Masuda （桝田淳二）has been a partner of Nagashima Ohno & Tsunematsu NY LLP (“NOT NY”), a New York-based law firm operated by Japanese lawyers (who are admitted in Japan and New York) since September 2010, when NOT NY took over Junji Masuda’s law firm in New York operated since January 1992 under the name of Masuda & Ejiri , later Masuda International. In Japan he is a counsel of Nagashima Ohno & Tsunematsu (“NO&T”) (www.noandt.com), one of the largest and leading law firms in Japan. His practice area includes cross-border mergers and acquisitions (M&As), international joint venture and business alliances and intellectual property laws as well as international dispute resolution such as patent infringement lawsuits and other lawsuits in the U.S. and international arbitrations by ICC and AAA. Junji Masuda received his LL.B. from The University of Tokyo (“UTokyo”) in 1966 and thereafter was trained at the Legal Training and Research Institute of the Supreme Court of Japan until 1968. He was admitted as a lawyer (Bengoshi) in Japan in 1968. He was awarded a John Burton Memorial Fellowship from Columbia Law School in 1970 and received his LL.M. from Columbia Law School in 1971. After Columbia Law School, he worked at law firms in New York, i.e., Sullivan & Cromwell and Wender Murase & White, until he returned to Tokyo in 1973. In 1977, he founded a new law firm in Tokyo called Masuda & Ejiri (which was later called Asahi Law Offices or Asahi Koma Law Offices as a result of mergers), which later became one of the largest law firms in Japan. He was licensed as a Legal Consultant in the State of New York in 1991 and established a law firm called Masuda & Ejiri in New York in 1992 as the first Japanese law office in the U.S. Since then he has lived in New York and has been going back and forth between New York and Tokyo frequently to primarily advise and support Japanese clients. He was admitted to the New York bar in 1995. At the time of integration of a majority of lawyers of Asahi Law Offices with other leading law firms in Tokyo, Junji Masuda became independent under the name of Masuda International and affiliated with the NO&T in Tokyo in May 2007. He established an alumni association of UTokyo in the New York area called NY Icho-kai in 2004 and acted as President of NY Icho-kai until he resigned in March 2011. He was also appointed as President of Friends of UTokyo, Inc.(“FUTI”), a New York not-for-profit corporation, in 2007 and managed FUTI until he resigned in March 2011. He was also appointed by the then President Hiroshi Komiyama of UTokyo as a member of the Management Council and President Selection Committee of UTokyo in 2008 and was reappointed as such by the new President Junichi Hamada of UTokyo in 2010. He was elected as the first President of the alumni association of UTokyo Orchestra in January 2011. Junji Masuda is a member of the Daini Tokyo Bar Association, American Bar Association, New York State Bar Association, Columbia Law School Board of Visitors, American Foreign Law Association (Director), Advisory Board of M&A Review magazine [Mergers & Acquisitions], Nippon Club in New York, and Tokyo Club in Tokyo. He has been covered by many legal and business magazines and newspapers over 30 years and described as a legendary lawyer in the August 2010 edition of the magazine called “The Lawyers.” He authored a book titled “International Lawyer” which was published by Nihon Keizai Shimbun Publishing Company in August 2010. 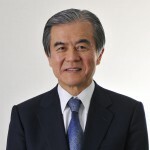 Hiroshi Komiyama (小宮山宏) became Chairman of the Institute of Mitsubishi Research Institute, Inc. and President Emeritus at the University of Tokyo in April 2009, after completing a four-year presidency at the University of Tokyo. He was appointed the 28th president of the University of Tokyo in April 2005, after having served as a vice-president and executive vice-president for a year each, respectively. Prior to that he was Dean of the School of Engineering from April 2000 till March 2002. 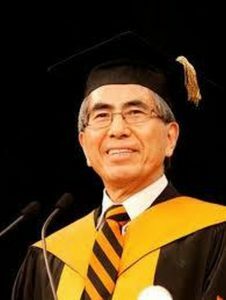 Dr. Komiyama received his Bachelor’s, Master’s, and Doctoral degrees, all in chemical engineering, from the University of Tokyo in 1967, 1969, and 1972, respectively. From 1973 to 1974, he was a post doctoral fellow at the University of California at Davis. 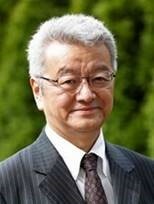 He became a full professor in the Department of Chemical System Engineering, University of Tokyo in 1988. 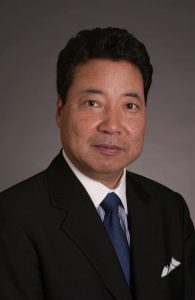 Dr. Komiyama specializes in chemical engineering, advanced materials engineering, and global environment engineering. His research work and papers have received awards three times from the Society of Chemical Engineers of Japan. In addition to his positions at Mitsubishi Research Institute, Inc. and the University of Tokyo, he serves as an adviser to the Japanese Government, the media, and several non-profit organizations. Dr. Tai Hasegawa is the president of the Henry Taube Institute, a non-profit organization founded in Palo Alto in honor of his mentor (1983 Nobel laureate). Hasegawa-san obtained his BS, MS and Ph.D. in Chemistry from the U. of Tokyo, and did his research at the Institute of Physical Science, the Polish Academy of Sciences in Warsaw, until joining the Chemistry Department of Stanford University. He got a tenured research professorship at the Institute of Molecular Medical Sciences, former Biochemistry division of the Linus Pauling Institute (Dr. Pauling is the only person so far to win two unshared Nobel Prizes, 1954 and 1962) before establishing the Henry Taube Institute. He likes to play various instruments including the violin, the viola, and the piano, and is an active member of Palo Alto Philharmonic and Choral Cosmo. He is the president of the Stanford Silicon Valley Akamon-kai, an alumni group of the U. of Tokyo for Stanford and Silicon Valley area members. He is also the president of the Silicon Valley Japan Association. Takatoshi Ito, Professor at the School of International and Public Affairs of Columbia University, has taught extensively both in the United States and Japan since finishing his Ph.D. in economics at Harvard University in 1979. He taught at the University of Minnesota (1979-1988), Hitotsubashi University (1988-2002), and the University of Tokyo (2004-2014) before assuming his current position in 2015. He held visiting professor positions at Harvard University, Stanford University, Columbia Business School, and the University of Malaya. He has held distinguished academic and research appointments such as President of the Japanese Economic Association in 2004; Fellow of the Econometric Society since 1992; and Research Associate at the National Bureau of Economic Research since 1985. Ito served as Senior Advisor in the Research Department at the International Monetary Fund and as Deputy Vice Minister for International Affairs at the Ministry of Finance of Japan, and was a member of the Prime Minister’s Council on Economic and Fiscal Policy. He is the author of many books, including The Japanese Economy, and more than 60 refereed journal papers. He frequently contributes op-ed columns to the Financial Times. In June 2011, the Government of Japan awarded him with the National Medal with Purple Ribbon in for his excellent academic achievement. Shunichiro Kishioka （岸岡駿一郎）is currently Chairman of ITA, Inc. He has established eleven companies over the span of his career, including three which began as divisions of Mitsubishi International Corporation (MIC), a trading company where he was employed. The range of businesses Mr. Kishioka has been involved in includes: distribution of construction, and material handling equipment, and metal forming. 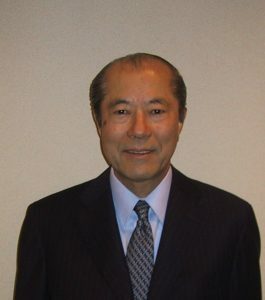 Since 1980, Mr. Kishioka started his own market research and consulting company, helped develop radio controlled toys, and became a board member of a cosmetic package printing company, president of a distributor of Japanese factory automation & electronic parts, president of a rental company and a bilingual IT (Information Technology) service company, an officer of minority company, etc. He specializes in new and innovative goods and services, and offers support to other companies to accelerate their growth. Mr. Kishioka graduated from the University of Tokyo Faculty of Law in 1964. He is Executive Vice President of Japanese Chamber of Commerce & Industry of Chicago(JCCC), Governor/Director of Japan-America Society of Chicago, Honorary Chairman of Chicago Akamon-kai . those who fall flat (2004), Japanese who can say YES (2006), and How to manage Japan (2009). Mr. Kishioka was conferred The Order of the Rising Sun, Gold and Silver Rays (旭日双光章) from The Emperor of Japan in November 2010. 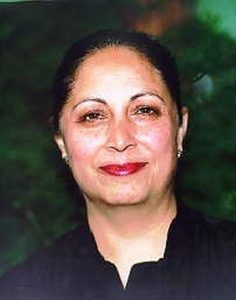 Dr. Geeta Mehta (ギータ・メータ) joined the Advisory Committee of FUTI in April 2011. She is currently an adjunct professor at the Graduate School of Architecture, Planning and Preservation (GSAPP) at Columbia University in New York. Geeta lived in Tokyo for 23 years till 2009 with her husband and two sons. She received her Ph.D from the Department of Urban Engineering, the University of Tokyo in 1998. She also served as the president for the American Institute of Architects in Japan (AIA Japan) in 2008. Ms. Mehta has consulted and advised on urban design projects in Japan, India, Indonesia, Vietnam, China, Vienna, Ghana and Jamaica. She is a co-author of several books on Japan including New Japan Architecture (2011), Japan Gardens (2008), Japan Living (2008), Japan Houses (2005), and Japan Style (2004). Dr. Mehta is the founder and president of the New York Chapter of Asia Initiatives, a non-profit organization in India, Japan, and USA with a focus on empowering poor communities with microcredit, education and skill enhancement. She is also a co-founder for “URBZ: User Generated Cities,” an organization that partners with disadvantaged communities for improving streets, neighborhoods and cities. Geeta lives in New York with her husband Krishen Mehta. Iwao Ojima received his B.S. (1968), M.S. (1970), and Ph.D. (1973) degrees from the University of Tokyo, Japan. He joined the Sagami Institute of Chemical Research and held a position as Senior Research Fellow until 1983. He joined the faculty at the Department of Chemistry, State University of New York at Stony Brook first as Associate Professor (1983), was promoted to Professor (1984), Leading Professor (1991), and then to University Distinguished Professor (1995). He served as the Department Chairman from1997 to 2003. He serves as the founding Director for the Institute of Chemical Biology and Drug Discovery (ICB&DD) at Stony Brook from 2003. Also, he was a Visiting Professor at the Université Claude Bernard Lyon I, France (1989), The University of Tokyo, Japan (1996), The Scripps Research Institute, La Jolla, CA (1997), and Université de Paris XI, BIOCIS, Châtenay-Malabry, France (1997). His research interests include medicinal chemistry and chemical biology (anticancer agents, tumor-targeted drug delivery, antibacterial agents, enzyme inhibitors), catalytic asymmetric synthesis, organic synthesis by means of organometallic reagents and catalysts, peptidomimetics, β-lactam chemistry (applications of the β-lactam synthon method), and organofluorine chemistry (fluoroamino acids and peptides, fluorotaxoids, medicinal applications). He has published more than 450 papers and reviews in leading journals and more than l00 patents granted, edited 8 books (SciFinder lists >980 publications to his credits; Google Scholar indicates h-index of 68, total citation >21,000), and he has given 130 Plenary and Invited Lectures in international conferences and symposia by December 2015. 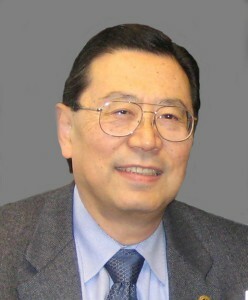 He is a recipient of the Arthur C. Cope Scholar Award (1994), the E. B. Hershberg Award (for important discovery of medicinally active substances) (2001) and the ACS Award for Creative Work in Fluorine Chemistry (2013) from the American Chemical Society; The Chemical Society of Japan Award (for distinguished achievements) (1999) from the Chemical Society of Japan; Outstanding Inventor Award (2002) from the Research Foundation of the State University of New York. He was inducted into the Medicinal Chemistry Hall of Fame, American Chemical Society (2006). He is an elected Fellow of the J. S. Guggenheim Memorial Foundation (1995-), the American Association for the Advancement of Science (1997-), The New York Academy of Sciences (2000-), the American Chemical Society (2010-), and National Academy of Inventors (2014-). He has served in various advisory committees for National Institutes of Health (National Cancer Institute, National Institute of Allergy and Infectious Diseases, National Institute of General Medical Sciences), National Science Foundation and the U.S. Department of Energy. He has served as a member of the Executive Committee for the Division of Organic Chemistry and the Long Range Planning Committee for the Division of Medicinal Chemistry, American Chemical Society. He has organized and chaired numerous international and award symposiums at the American Chemical Society National Meetings. He has served and has been serving as Editorial Advisory Board member of Journal of Organic Chemistry, Organometallics, Journal of Molecular Catalysis, Chemistry Letters, Anti-Cancer Agents in Medicinal Chemistry, Current Topics in Medicinal Chemistry (current), Medicinal Chemistry (current), Letters in Drug Design & Discovery (current), and Bulletin of the Chemical Society of Japan (current). He has also served as the Guest Editor for thematic issues of the Journal of Medicinal Chemistry, Accounts of Chemical Research, and Current Topics in Medicinal Chemistry. In addition, he serves as the Senior Editor of “Future Medicinal Chemistry”. Yasuo Okamoto（岡本康夫）is a partner at the international law firm of Hughes Hubbard & Reed LLP, resident in its New York office. He is also responsible for its Tokyo office and the firm’s Pacific Basin Practice. He is a corporate attorney concentrating on cross border transactions and has counseled Japanese and other foreign clients in M&A, Bankruptcy workouts, Corporate finance and other transactional and regulatory work. He is a graduate of the University of Tokyo, Faculty of Law (Hogakushi 1972) and Osgoode Hall Law School, Toronto, Canada (LLB 1976). He has been admitted to practice in the New York State and Federal courts since 1977 and is also registered as a registered foreign lawyer（外国法事務弁護士）with the First Tokyo Bar Association in Japan. Prior to Hughes Hubbard & Reed LLP, he was a member of the firm of Hill, Betts & Nash in New York until 1980. He has spoken and lectured extensively on corporate and finance related topics and has served as a lecturer at the Morin Center for Banking and Financial Law at Boston University. Mr. Takegami is responsible for Tiger Pacific Capital’s research efforts in Japan. Prior to founding TPC, he was a Managing Director at another Tiger cub in NY where he led the Japan research team and was responsible for idea generation within the Japanese equity universe. Prior, he worked at Industrial Bank of Japan (currently merged into Mizuho Financial Group). He holds an MBA from Harvard Business School and BA in Economics from the University of Tokyo. Born and raised in Tokyo, Japan, he spent five years of his youth in London. Ko-Yung Tung　(コー・ヤン・タン：董　克勇) is Senior Counsellor at the international law firm of Morrison &Foerster, resident in its New York office. An eminent international lawyer, practicing in both the public and private sectors. he counsels sovereign governments as well as multinational corporations. In addition, he is a Visiting Lecturer at Yale Law School, where he teaches a course on international law and economic development (on leave 2010-11). Mr. Tung served as Vice President and General Counsel of the World Bank (1999 -2003) and as Secretary General of the International Centre for the Settlement of Investment Disputes (ICSID) (2000 – 2003). Mr. Tung also held a number of high-level appointments, including as a member of the Presidential Commission on United States Pacific Trade and Investment Policy and the East-West Center Board of Governors, of which he was Chairman. Mr. Tung currently serves as a board member of nongovernmental organizations and academic centers, including the Morin Center forBanking and Financial Law at Boston University Law School; The London Forum of Economic Law and Development of the University of London, Human Rights Watch-Asia, and Asian American Legal Defense and Education Fund. He is also a member of the Council on Foreign Relations and the American Society of International Law. He also was a member of the Trilateral Commission, and on the board of the International Development Law Organization in Rome (IDLO) and Transparency International-USA. School in 1973. He was also a Fellow at the Faculty of Law, University of Tokyo. Mr. Tung is admitted to practice law in New York and before the United States Supreme Court. He has written extensively, and is a frequent speaker, on global and international issues; his most recent publication is a chapter entitled “Foreign Investors vs Sovereign States: Towards a Global Framework, BIT by BIT” in International Economic Law and National Autonomy (Cambridge University Press, 2010). Kenzi Karasaki（唐崎建二）is a staff scientist at Lawrence Berkeley National Laboratory (LBNL) in Berkeley, California. His research interest is the subsurface hydrology in fractured and faulted rock masses. He began his career in the theory and numerical simulations of subsurface fluid flow. His current focus is in the data collection and analysis through fieldwork. The application of his research topic is fairly wide: oil and gas production, nuclear waste isolation, contaminant transport, CO2 sequestration, in addition to water resources development. Kenzi was born in Yamaguchi and went to Yamaguchi Senior High. In the senior year, he became an American Field Service student and spent a year in Little Falls, Minnesota. Upon return, he entered Science I Class at the University of Tokyo. He lived in Koma-Ryo (the legendary Komaba Dormitory, demolished more than a decade ago) for almost four years spending most of the time playing American football, working part time and dating. He was, so to speak, a jock. After somehow completing the undergrad, he enrolled in the M.S. course in the Natural Resources Development Option in the Engineering Dept. In 1979, he came to study at UC Berkeley as a PhD student in Mineral Engineering Dept. He was first hired as an GSRA, then a postdoc, followed by the staff scientist position at LBNL. He has been with the lab for nearly 40 years. 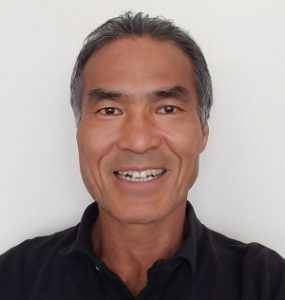 In his private life, he plays golf a lot and currently serves as the president of Soko Akamonkai, the San Francisco area alumni association of the Univ. of Tokyo. Yuriko Suzuki, Ph.D.（鈴木由利子）, received Ph.D. degree at University of Tokyo, Japan in 1987 for plant Science by biochemistry and cellular physiology research in photosynthetic carbon fixation mechanism. 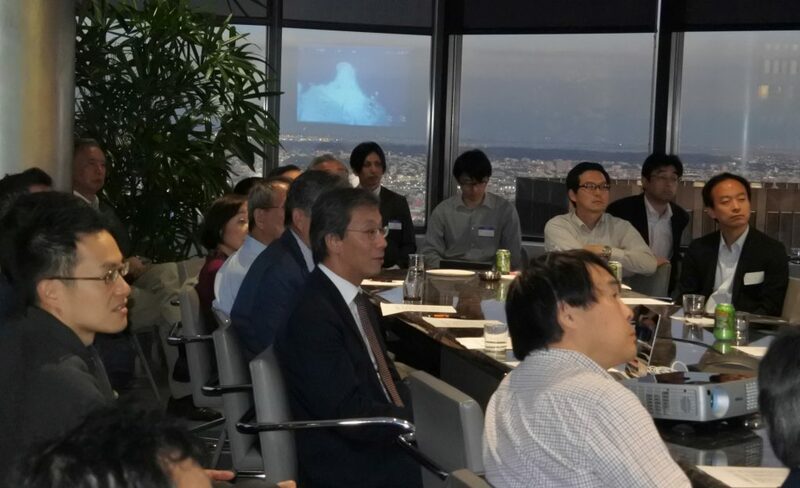 A secretary of the US – Japan pharmaceutical discussion group in New York City. Accomplished communicator in Toastmasters clubs in the US. Dr. Suzuki is an expert in drug discovery and development, compliance and safety in large global pharmaceutical companies, small biotech startups, as well as CRO organizations. Her successful projects including; First-time-in-class drug discovery to proof-of-concept development study as well as patenting small molecule drug targets and biologics products, development and evaluation of molecular pharmacology and PK/PD assays, etc. Dr. Suzuki works for research and development project management and liaison, clinical research project communication, management, and outsourcing, in depth scientific marketing analysis of the products, and supports licensing and intellectual property protection for global pharmaceutical corporations. 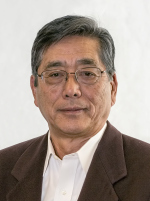 Dr. Suzuki was an orphan GPCR project leader and global project group committee member as well as new target proposal committee member and siRNA project initiator and leader. She supported translational projects from pre-clinical to clinical development and generate and review pharmacology reports for bridging to clinical study. Dr. Suzuki contributed to complete lead optimization and delivered development candidate compound, led in vitro pharmacology efforts to develop various assays and successfully delivered development candidate compounds. Dr. Suzuki achieved to Identify new classes of GPCR and enzyme targets for treating neuronal and metabolic disorders. From 1987 to 1988 – Post-doctoral researcher at Tokyo University, Tokyo and Institute for Basic Biology, Okazaki, Japan. 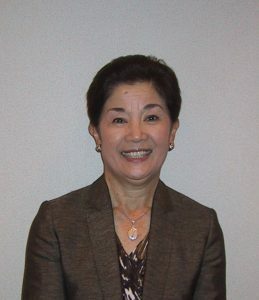 Masako M. Osako (大迫政子) is – Executive Director of the International Longevity Center (ILC) Global Alliance, a partnership of 14 ILCs from around the world ( www.ilc-alliance.org). The ILC Global Alliance’s mission is to help societies address issues of longevity and population aging in a positive and productive manner. 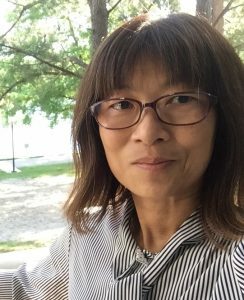 Residing in the United States, Masako is active in writing and presenting on various topics involving International aging. Prior to her position with the ILC Global Alliance, Masako has worked with the University of Illinois at Chicago, the Chicago Branch of Industrial Bank of Japan, Ltd. (currently Mizuho Bank), and Fitch Ratings, Ltd. She currently serves as Director of Satsuki-kai America (University of Tokyo Alumnae group) and also a staff member of Friends of UTokyo, Inc. Formerly a student of the University of Tokyo (Economics Department), Ms. Osako received her B.A. in Economics from Harvard University, her MBA in Finance from the University of Chicago, and her PhD in Sociology from Northwestern University.